After a long 2 month of band announcements for the 2019 Festival, we want to say a big fat thank you for you patience! 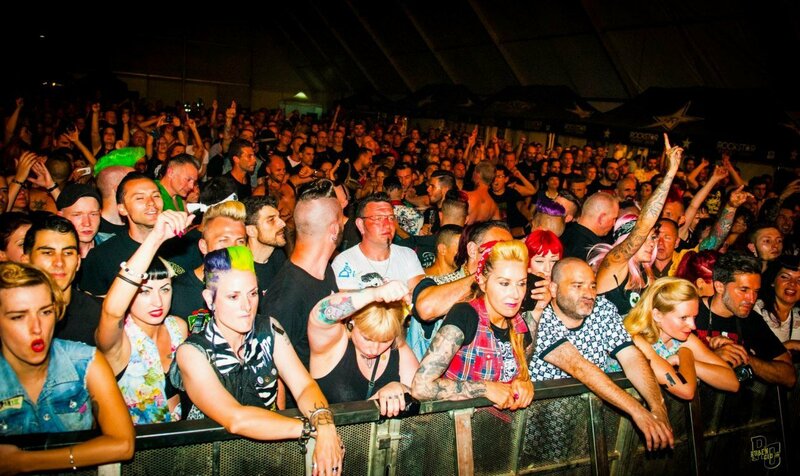 The creature that is The Psychobilly Meeting has grown and wanted to get out! We hope you like the 2019 Line up, so are you ready for the holidays of your life? This year, 2019, is our 27th year, it’s has been a while since we started! Last year we celebrated the 27th anniversary, it was a huge success and so much fun, and this year we want to keep it like this! This year we are having a top line up, a big mix of styles, and as usual the biggest names on the scene! Lets remember that the PSYCHOBILLY MEETING is something much more than music and bands, it’s a great atmosphere, the sun, the beach, a chance to meet old friends and make new ones and its such a lot of fun and of course… PSYCHOBILLY ! So REMEMBER the Psychobilly Meeting is about music, sun, sea , sand, bands, friends, pure enjoyment, if you have been before we welcome you back, if you haven’t been before then we welcome you for the first time. Tell your friends, family, tell the world to come and enjoy…..
You can buy your tickets through our Official Festival page, or once you arrive in Pineda, on Wednesday night or any of the Festival days at the door. Don’t hesitate to contact us in case you have questions or need any help. If you need a place to sleep take a look at our Hotel page where you can choose between different hotel categories with different prices. BOOK NOW. If you need more information send us an email to hotelpsychobillymeeting@gmail.com (only hotel questions please). The cost of the Bonus ticket is 90€ and includes the 4 days festival (from Thursday to Sunday ) plus the Wednesday Night, this year dedicated to bands from BRASIL ! 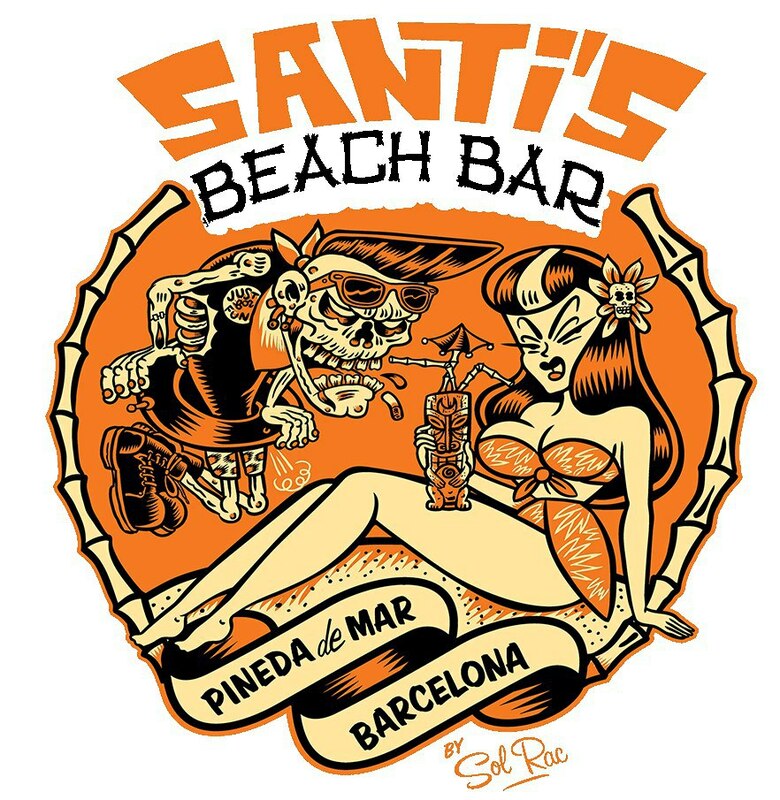 Santis is located between Calella and Pineda on the Beach. there are live bands and a great selection of top DJ’s during the day as well as night parties on Tuesday 4th and Monday 10th (foam party). All events at Santis are free. Santis have a wide selection of good hot and cold food and drinks. There is plenty of sun and sea and seating areas. See event programme for more information and timetables. 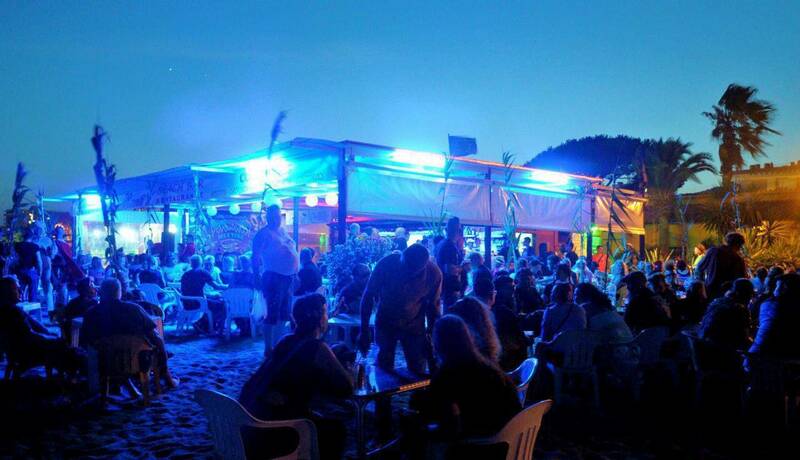 The main festival is held at Platja dels Pins, next to de Beach. The festival is held in a giant marquee , here we have a big stage with the latest in sound and lighting. There is also an out door area with plenty of seating and toilet facilities. All around there are stalls selling band merchandise, the best in vinyl and CD’s as well as psychobilly/rockabilly clothing and memorabilia.t We also have stalls selling soft drinks, alcohol, hot and cold food and even a coffee if you like. Smoking is not permitted in the marquee area but the large outdoor seating area is where to have a chat and a smoke.